The Darlene swing dress would look perfect at any occasion, day or night! 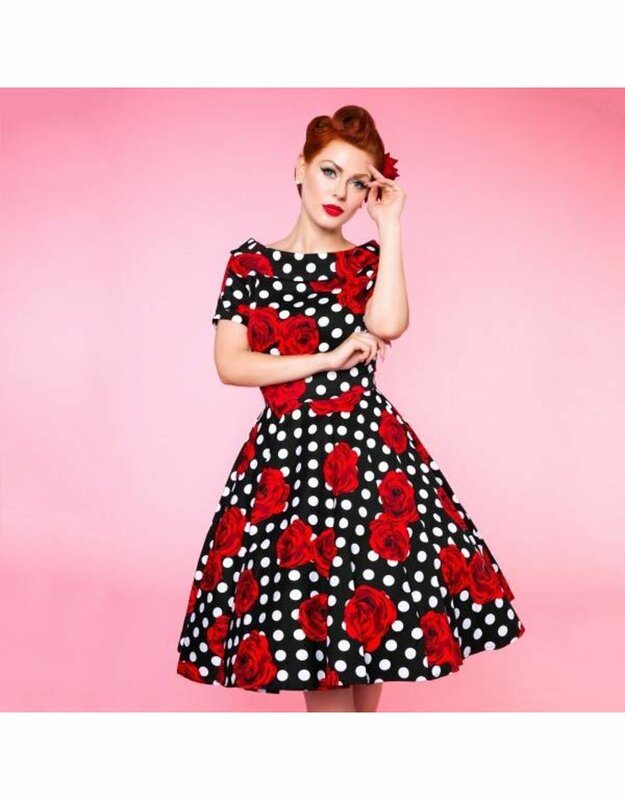 The 50’s style dress features flattering short sleeves, a wide fitted waistband, a vintage full circle skirt and a vintage off the shoulder neckline with button detail. 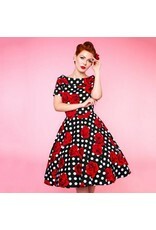 This stylish rockabilly dress is made from super soft cotton and fastens with a concealed side zip.